This 2 QT Deluxe Iced Tea Beverage System is our best value, making it the perfect gift for yourself or any iced tea lover. The patented Flash Chill Technology brews and chills a perfect pitcher of iced tea every time in just minutes, infuses fruits, herbs and spices for any recipe, then doubles as an airtight storing and serving system. 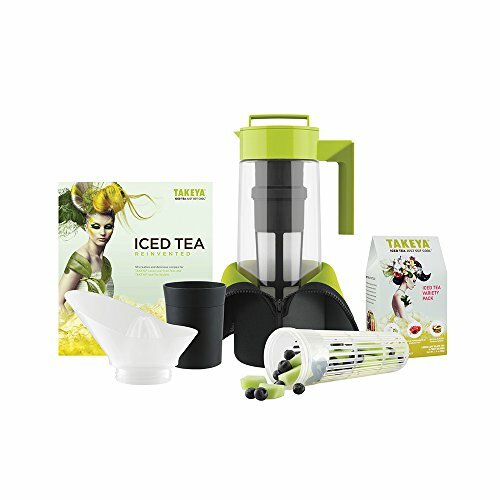 Includes a 2 Qt Flash Chill Iced Tea Maker, Fruit Infuser, Citrus Juicer, Infuser Stand, Recipe Book and Thermo Jacket.